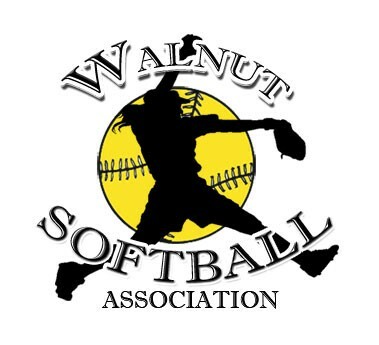 Updated Friday August 16, 2013 by Walnut Youth Softball. Baseball and/or softball shoes have one unique feature to look for that makes them different than soccer shoes: the toe cleat. Baseball shoes have a toe cleat at the very tip of the shoe that soccer shoes do not have. This helps players get better traction in quick starts where sudden movement occurs. WYSA requires all players to wear baseball/softball shoes with plastic cleats, however soccer shoes with plastic cleats may be worn. Metal cleats are not allowed by WYSA. Sliding shorts are worn underneath uniform shorts or pants and can give players the confidence to slide without the fear of getting injured. Although they are not required, WYSA recommends them for the 8U division and above. Sliding shorts can be purchased with heavy padding or little padding. Sliders provide extra protection when sliding and fielding. They are optional however WYSA recommends them for all divisions. You can purchase long sliders that cover the knee and shin or short sliders that cover just the knee. Typically younger girls wear two long sliders and older girls wear two short sliders. Some choose to wear one of each (if going this route wear the long slider on the left leg, remember - long on left!). DON’T BUY A BASEBALL BAT! Weight: It's best not to purchase a bat which is too heavy for your player. Rather than growing into the bat the player will develop bad habits that will be difficult to correct later on, not to mention poor self esteem because the overly heavy bat keeps the player from successfully hitting the ball. As for weight one rule of thumb is for the player to hold the bat in one hand (which ever is the top hand on the bat) and extend it out fully holding this position for at least 8-10 seconds. If the player can't do this the bat is too heavy. If in doubt about two bats it is always better to err on the side of the lighter bat! All helmets must have chin strap, face mask and be NOCSAE certified. Never use a helmet that is cracked, deformed or the interior padding has deteriorated. Catcher’s Mitt: Find a softball catcher’s mitt that fits the hand and feels comfortable. It will take a while to break-in a new mitt. DO NOT use a brand new mitt in a game. Catching pitches with a new mitt will be difficult as the ball will constantly pop out. Break in the new mitt at home and during practice! Catcher’s Helmet: Make sure the helmet fits and then adjust the straps on the mask so it is snug to the head and helmet. A loose mask is bad. Also, make sure there is some sort of throat protection. Most modern masks are made with an extended throat guard. Helmet and mask must NOCSAE certified and/or ASA approved. Shin Guards: Shin guards should protect the front of the leg, knee, and top of the foot. When wearing shin guards, the straps should not be too loose or too tight. Do not buy shin guards that are too large for the body, expecting to grow into them. This will only inhibit movement and make the catcher’s job more difficult behind the plate. Knee Savers: Knee Savers are simply triangular pads that are connected to the straps on the back of your shin guards and makes squatting more comfortable and easier on your knees. Catchers DO NOT need Knee Savers and they are NOT a mandatory item. Some catchers like them, some don't. Knee Savers may restrict movement and discourage catchers from learning to be in a higher squat formation when needed. Chest Protector: The chest protector should fit snugly against your body. There should be no space between any part of your body and the chest protector (this includes while in the squatting position). Some protectors have shoulder guards for extra protection. These are fine if they are removable. You may want to remove the guard on your throwing shoulder so it does not impede your ability to throw.